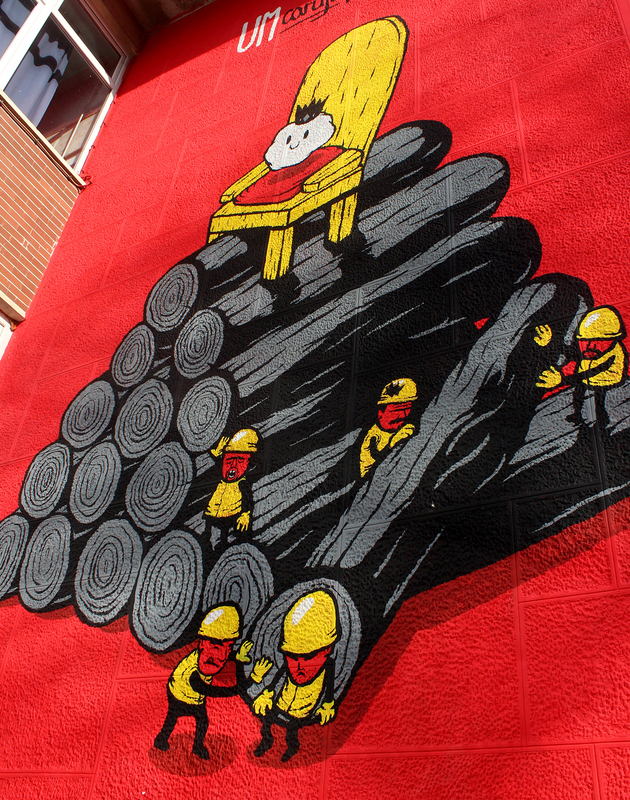 Mural made in Uzice, Serbia by Linnch, produced by Revitalizacija Festival. 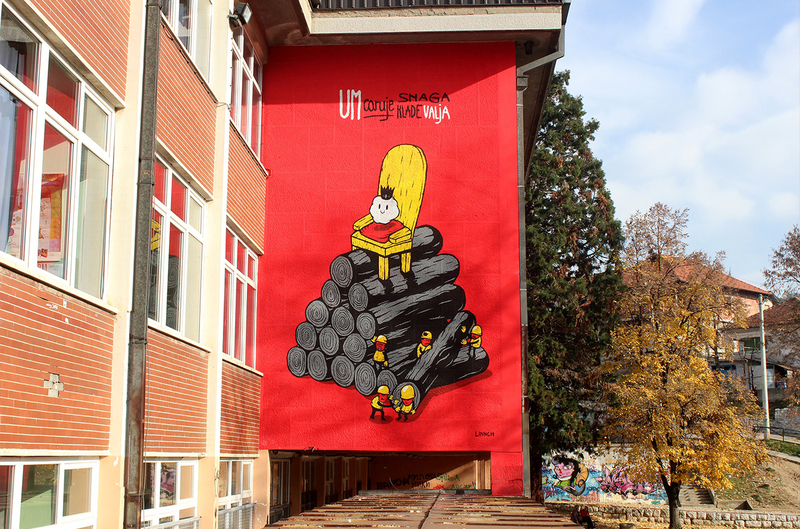 Mural in Uzice, Serbia, made during Revitalizacija Festival, drawn on elementary school “Nada Matic”. Illustration is based on a old Balkan saying “Um caruje snaga klade valja” which means something like “Mind rules, brawn moves”. 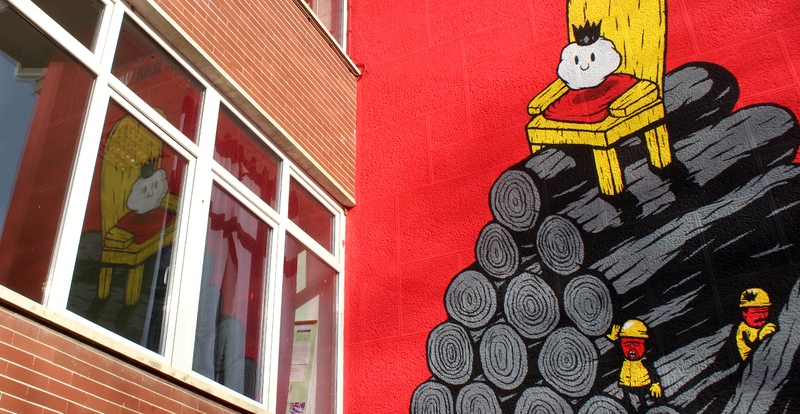 Illustration is built around the literate reading, where the strong working characters are building the throne for the idea maker, trying to inspire school kids to think which route do they want to take.